Beautiful dress with a gorgously detailed top from SUSANNA RIVIERI. 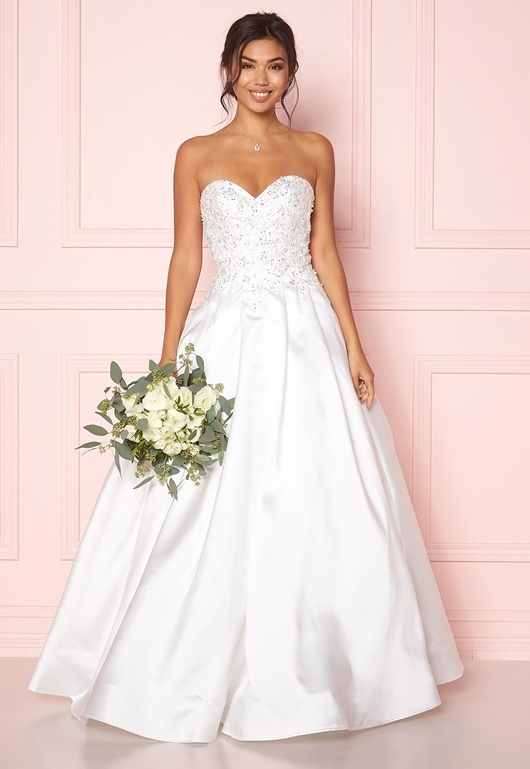 The dress has a beautiful, ornate top with rhinestones, embroidery and beads, and a bottom half that falls beautifully. - Unelasticated quality - Concealed zip at the back - Padded cups - Shawl included - Lined - Several layers of tulle under the skirt Center back length 134 cm, bust 64 cm, in size EU34 (corresponds to size ES36). The dress has a regular size. The model is 176 cm tall and wears a size EU34(ES36). Dry clean only with a specialist. NOTE: EU sizes differ from ES sizes. Please follow EU sizes when you order your dress.